With so much buzz already created everywhere before its release, here in this article we are going to provide our viewers today about the detailed star cast of upcoming movie Happy New Year. 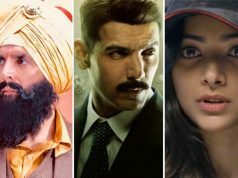 As the film has already gained so much attention and publicity due to several positive factors hence there is not much suspense in telling who the actual star casts of this film are. 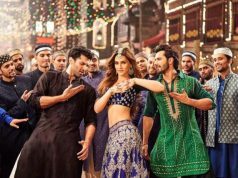 We have been seeing the main leads of the film promoting their film everywhere these days widely not only in India but internationally too. Happy New Year is a complete package of star power and entertained merged together for an awesome Diwali treat for the audience next Friday. 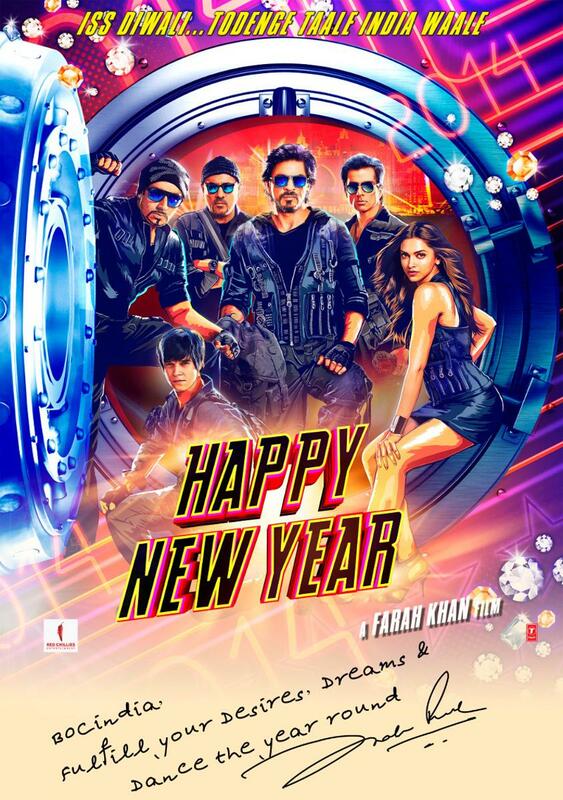 Now let’s have a look at the complete star cast of this wonderful upcoming Bollywood movie Happy New Year. Shahrukh Khan- Bollywood Badshaah or popular as King Khan – Shahrukh Khan will be seen playing the main lead role in the upcoming Bollywood biggie Happy New Year. All the fans of him and the audience will be seeing Shahrukh Khan as Chandramohan Sharma or Charlie in the film. Going through his record then we need not say anything about him as he has around perfect past in the film industry in the recent years so one more time we may face another big hit of the year. Abhishek Bachchan- Abhishek Bachchan who is known for his humor & comedy characters will one more time be seeing in a complete entertaining character of Nandu Bhide. Deepika Padukone- Deepika Padukone who is now termed as a lucky charm for most of the film makers will be playing the lead female role in this film opposite Shahrukh Khan. She will be playing the character of a very peppy, enthusiastic and lovely girl Mohini Joshi.